Here on the internet, it can be easy to forget that the people we interact with are actually, you know, people. That also applies to celebrities, and some internet users may be surprised to find out that they have emotions just like us normals. Case in point, Kristen Wiig says the annoying, predominantly misogynistic backlash that hit Paul Feig’s Ghostbusters reboot “really bummed [her] out” (via Variety). 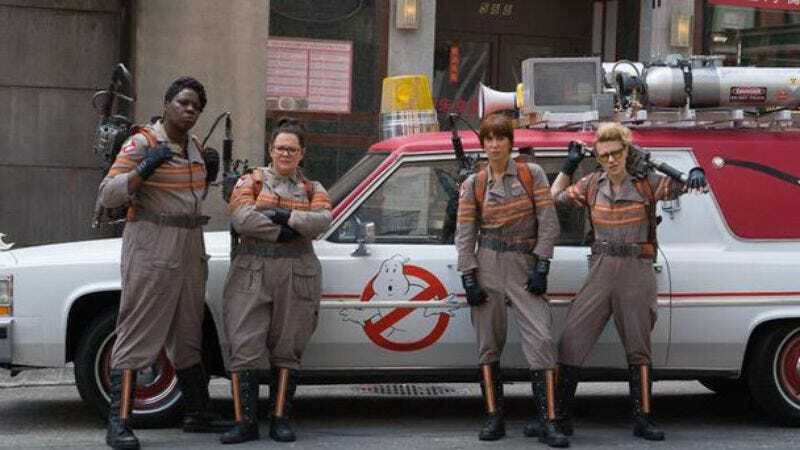 She says it didn’t make her mad, it was just “surprising” that people would get so upset over the very idea of an all-female team of Ghostbusters. Anyway, Wiig and the other Ghostbusters responded to the haters back in August, and they probably still stand by their declaration of the unstoppable might of #GirlPower.